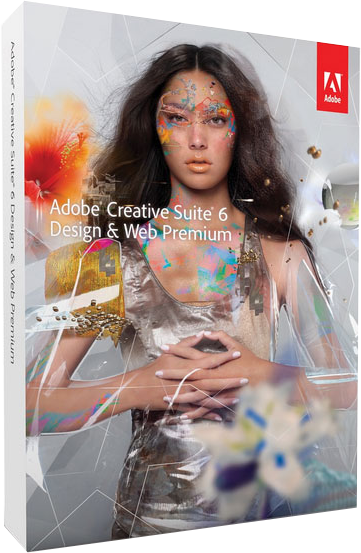 Adobe Creative Suite 6 Design & Web Premium united the leading tools and features to work on different and inspiring designs for several media platforms. With Photoshop Extended and Illustrator you will create impressive paintings and images with no effort at all. Prepare high quality print layouts with professional typography or interactive releases for iPad and other tablets*. Adobe Dreamweaver completes your package for developing HTML5 and CSS3 based websites and apps that look brilliant on every screen. Create spatial depth and other impressive effects. Work on fascinating 3D logos and images with texts and shapes. You will have many different options to work on your 3D objects. You can even paint on them directly*. With InDesign you can also create impressive content for iPad and other tablets. Add some interactive elements such as zoom effects, slideshows, audio and video. Publish your work easily with Adobe Digital Publishing Suite*. With InDesign you can create fascinating eBooks having gallant and charming typography and images which automatically adapt to the available screen resolution. Implement HTML5-based video and audio clips. Take advantage in the extensive support for the EPUB3 format****. Wenden Sie in InDesign Regeln für barrierefreie Inhalte an, z. B. für die Tab- und Vorlesereihenfolge. Überprüfen, korrigieren und validieren Sie anschließend die barrierefreien Adobe PDF-Dokumente mit Acrobat X Pro.